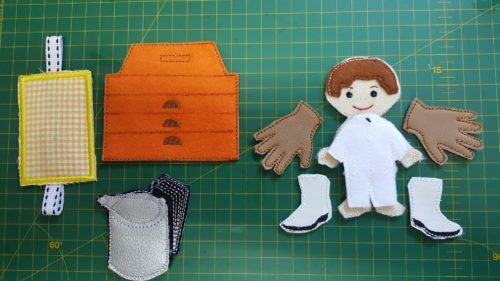 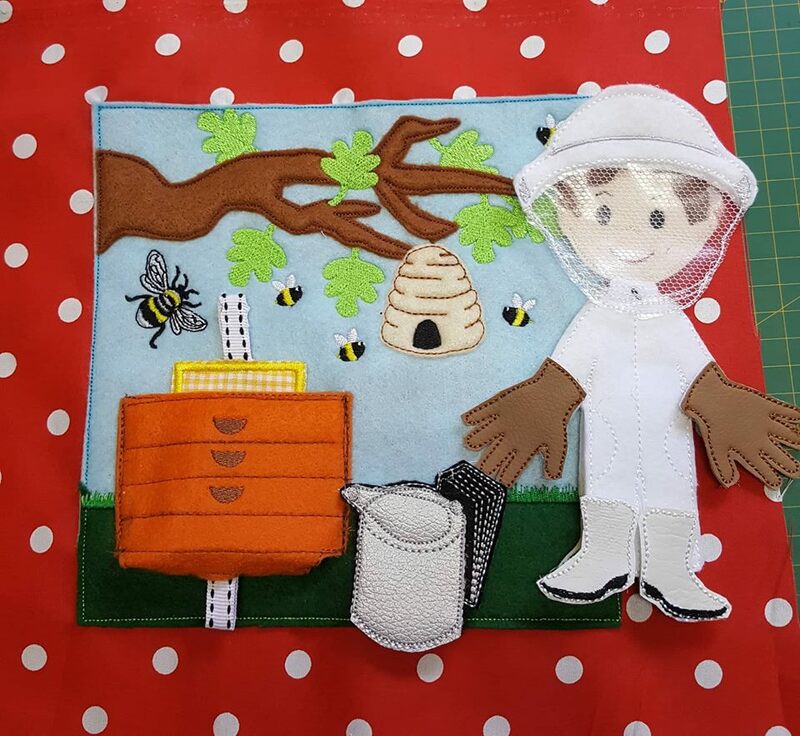 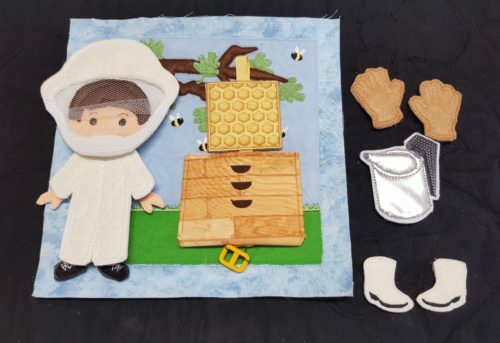 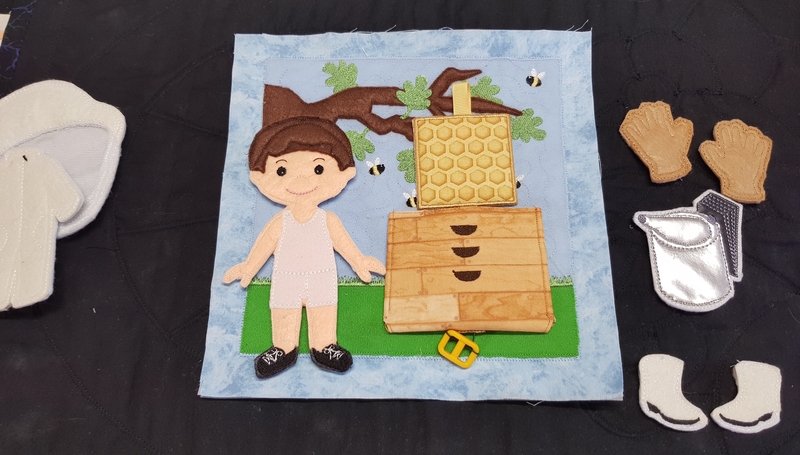 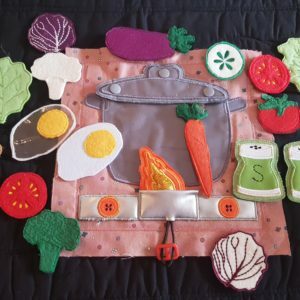 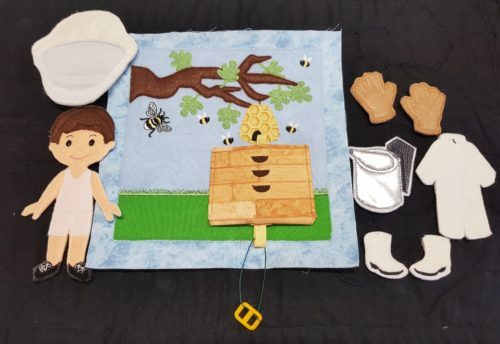 Charlie the Bee Keeper is another quiet book page in the series of occupations & hobbies, this page has an interactive bee hive with the honey tray as a fine motor pulling activity. There is Charlie the bee keeper, and his safety gear, gloves, overalls, gum boots, bee keeping net hat, and a smoker for removing the bees. 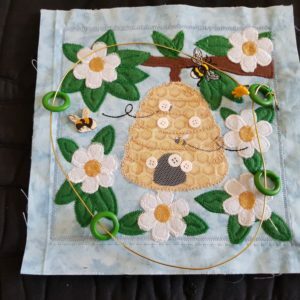 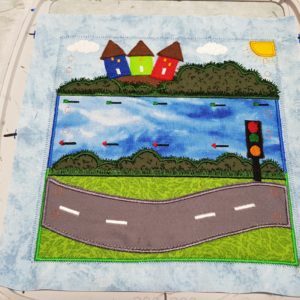 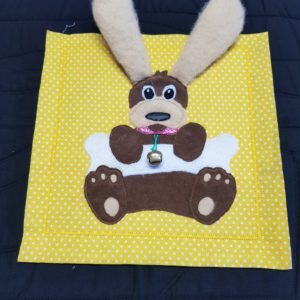 This design is stitched completely in the hoop in multiple hoopings and contains SVG files, so those with smaller hoops can still achieve the same page. This file comes with SVG files for those who use cutting machines.